First Family of Gospel to Sing at VMFA | News and Features | Style Weekly - Richmond, VA local news, arts, and events. Scott Elmquist Maggie Ingram, who’s recording one more album with her family, performs Friday at VMFA. At 85, Richmond’s undisputed queen of gospel, Maggie Ingram, is looking good. 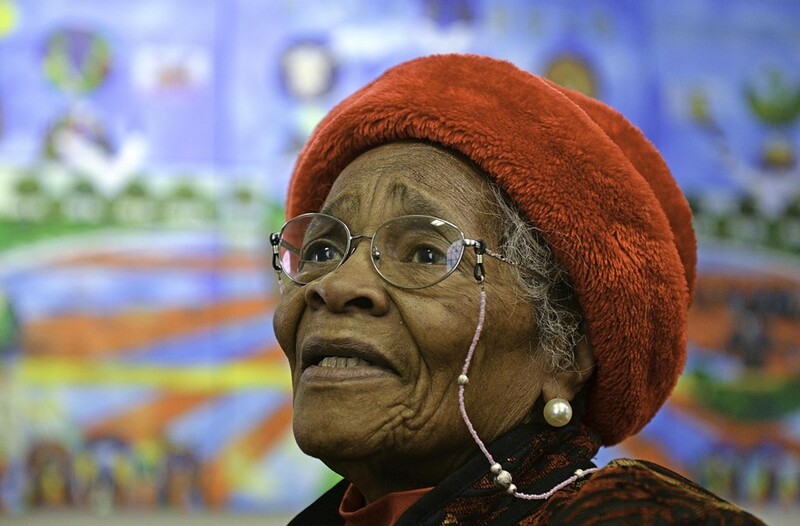 A few weeks ago, wearing a floor length coat and lovely red hat, Ingram sat in a wheelchair pushed by her daughter, Almeta Ingram-Miller, into Second Baptist Church on Idlewood Avenue, where the Ingramettes were rehearsing a Martin Luther King Day tribute show. Ingram was diagnosed with cancer a decade ago but declined to partake in chemotherapy after surgery. She remains in remission, her daughter says. Ingram also suffers from Alzheimer’s disease, but you wouldn’t know it by watching her. The woman who spent her life singing songs of faith and working for social justice still glows in the presence of music. She claps her hands in time with her family while recalling the lyrics. Ingram spent her youth working on a cotton farm in Georgia, chose her church over a professional singing career, reared five children, worked for the late civil rights lawyer Oliver Hill and served the Virginia prison ministry, one of her greatest passions. The Ingrams play concerts and festivals two or three times a month, and Almeta says they’ll record one more album with her mother, which follows the great recent “Live in Richmond” album. The next one may be recorded in Lake City, South Carolina, where the group is extremely popular, she says — though “we’d like to do it at home.” Then the family will continue writing and playing without their matriarch, carrying on her legacy. In celebration of Black History Month, the three generations of the family play a free show at the Virginia Museum of Fine Arts this Friday, Feb. 6.